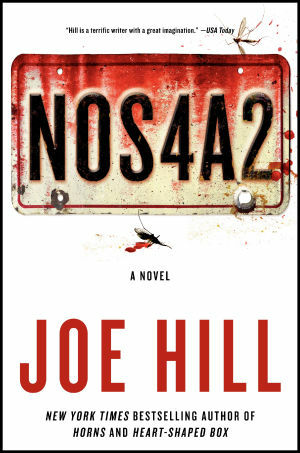 This entry was posted in Novels, Reviews and tagged dysfunction, horror fiction, joe hill, N0S4A2, Nosforatu, Scary, Vampire fiction by bricemcvicar. Bookmark the permalink. Brice McVicar spends his days as a reporter for a daily newspaper in Ontario but his nights are consumed by the darker arts.... and his three kids and wife. He's a regular contributor to FANGORIA, a lover of horror fiction and slightly handsome. I’m just over halfway through this novel, and it just keeps getting better and better. And I love love love that Hill has embraced his lineage and links to some of dear old dad’s works. The map that namechecks Pennywise. The mention of Midworld. I loved Heart Shaped Box, but really didn’t like Horns and worried that he might be a one-hit wonder, but this novel kicks out all the jams.